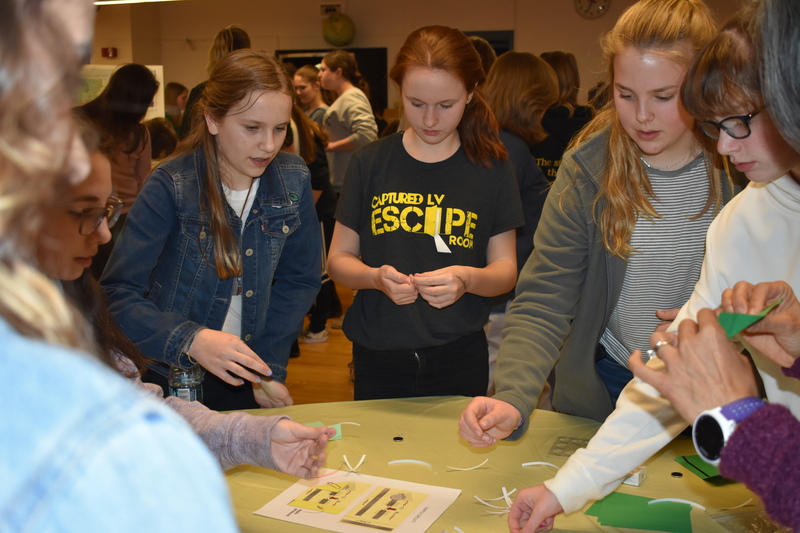 Eyer Middle School hosted the 2nd annual Girls in STEM Night on April 11, 2019. The Society of Women’s Engineers (SWE) from Lehigh County visited and talked with the girls about how to break down stereotypes in the engineering and science fields, what/who inspired them to get involved with STEM, and what skills they need to be in these fields. The girls then enjoyed hands-on project stations led by women in the science, technology, engineering, and math fields. Also joining them were students from the Technology and Engineering Department at Emmaus High School who stopped by to discuss classes that are offered at the high school level and how to get more involved. It was a great night for the girls to discover the fun side of STEM careers at this unique annual event held just for them! A special thank you goes out to Eyer Tech Ed teacher, Nicole Gillen, for organizing this event.